My internship as a policy strategy assistant in the Policy and Legal Department of Vunja Kimya has been a rewarding one this summer. As an initiative aimed at the prevention, intervention and treatment of gender-based violence, Vunja Kimya does a lot of work educating the community about the dynamics of sexual and gender-based violence. The biggest event that we have had thus far was a visit to the Wings of Hope Rescue Home (WOHRH) in July. This home provides a haven for teens who have been sexually assaulted and are now pregnant. The purpose for this visit was to offer professional medical and legal services to these young women. Vunja Kimya visits the home on a quarterly basis. Doctors, lawyers, psychologists, psychiatrists and volunteers are all part of the team they bring on these visits. I was attached to the legal team during the visit. 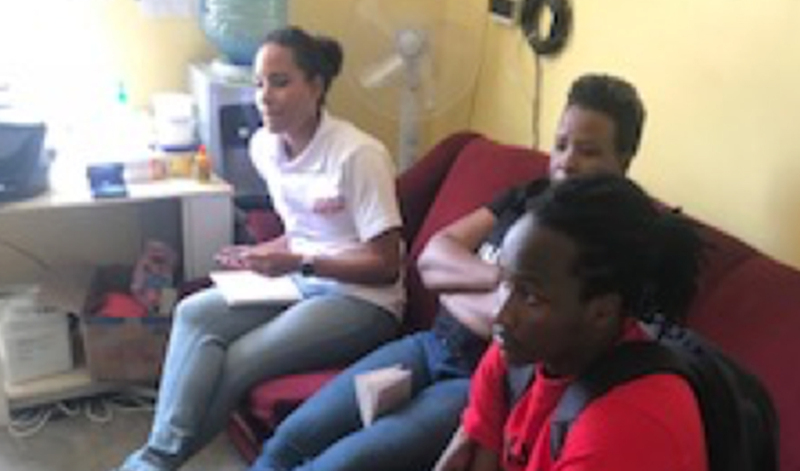 The legal team was tasked with providing legal advice to the girls, and should the girls have a desire to pursue their violators in court, provide legal assistance for that as well. I was tasked with going through their records and making sure they are well organized. In the interest of attorney-client privilege, I wasn’t in the room when they were discussing the cases. From this particular event, I was exposed to the reality of arranged child marriages and how far society still had to go to outlaw it as much as it was formally illegal in the Constitution. I was exposed to the reality of the culture of untrustworthiness of family members when these girls exposed their perpetrators. In as much as I was angered and disappointed by this, I was also genuinely humbled and inspired by their life stories and the hope they still held, and the drive they had to make a better life for themselves and their children. I have had to reevaluate Kenyan society throughout my internship and discuss how we can improve things and create a more just society. I am on the path to learning, and I hope I will come out a better person. Vunja Kimya’s response from the general public has been outstandingly positive. The rescue home we visited has invited Vunja Kimya to come by any time. With the newly established psychiatric project from Vunja Kimya at the institution, I can definitely say that Vunja Kimya will do its part in supporting victims of gender-based violence.